Nendoroid Kyouno Madoka from Rinne no Lagrange has been teased several times previously, and finally, Mikatan announced it officially earlier today. A separate companion product is also introduced here: Midori, which is a model kit, coming from Hasegawa‘s Egg Plane series. Anyway, Nendoroid Kyouno Madoka will be available for pre-order starting today. Kindly see more pics in Mikatan’s blog and …. what do you think about this Nendoroid? 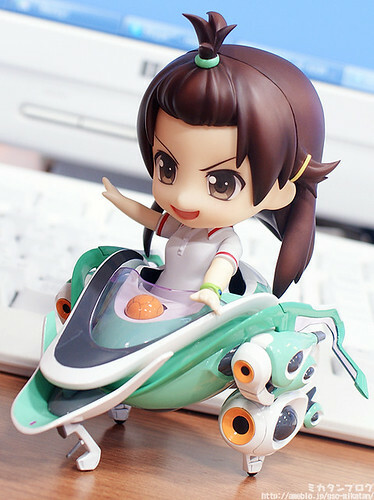 This entry was posted in News and tagged kyouno madoka, nendoroid, rinne no lagrange. I hope we get the other characters as well. 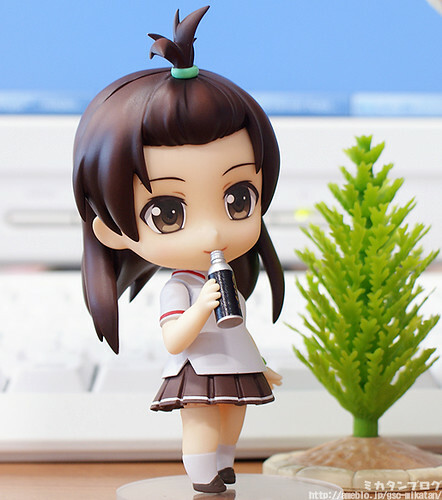 I would love a Muginami nendo. Is Rinne no Lagrange worth watching? I just watched the open on youtube and it’s amazing! Madoka looks cute, really digging this eggplane kit though!